The Big Bang Theory has loomed like a black hole over the TV landscape for nearly a decade now, sucking in massive ratings, and making up, by volume, roughly 40 percent of TBS’s total broadcast output. But the era of slathering a thick layer of Star Trek jokes over classic sitcom setups might now be coming to a close, with cast member Kunal Nayyar suggesting it could soon be time to say Bazingoodbye to Sheldon, Leonard, and Penny. As reported by Cinema Blend, Nayyar made his comments during a recent appearance at MCM Comic-Con London, where he implied that the show’s upcoming tenth season might be its last. “Look, next season, as it stands on our contract, could be the last season of Big Bang Theory,” Nayyar told an audience of fans, echoing sentiments that showrunner Steve Molaro expressed last year. 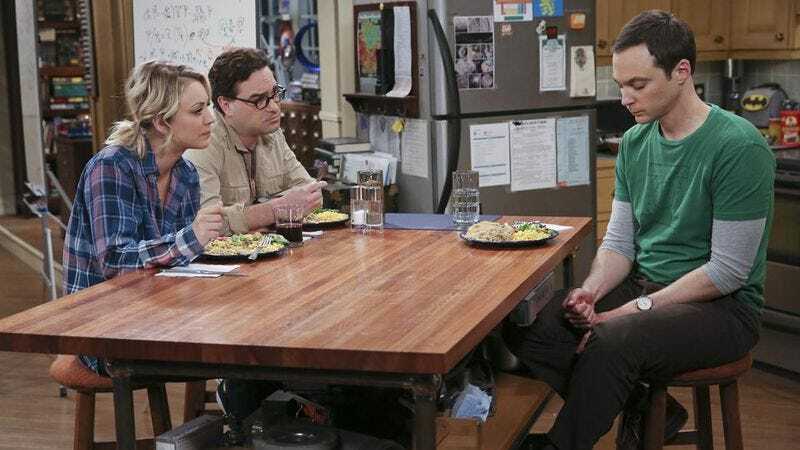 CBS gave The Big Bang Theory a huge, three-season renewal back in 2014, netting stars Jim Parsons, Johnny Galecki, and Kaley Cuoco a million dollars each for the 72 ordered episodes. Thanks to the escalating nature of cast contracts for long-running shows, that could make the series an expensive proposition for the network if it decides to continue it into 2018. If The Big Bang Theory does end after season 10, though, fans will be able to to content themselves with the 80 hours of the series that already exist, enough to keep their store of cheap pop-science references going from now until the heat death of the universe.